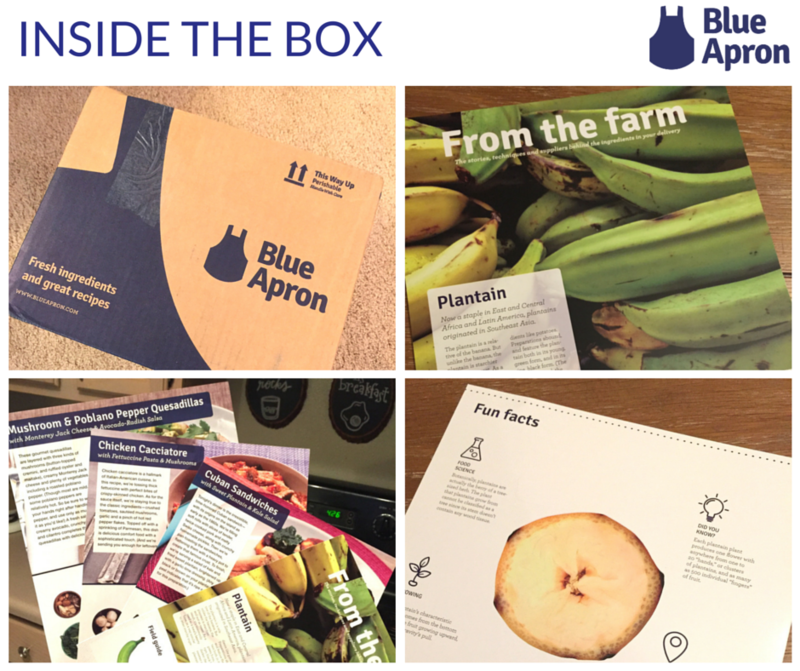 Disclosure: My friend gifted me a free Blue Apron box, as she is a regular subscriber and earned free meals. My opinions and photos are my own! As you read in my Plated review, Dan and I are trying to cook more at home. 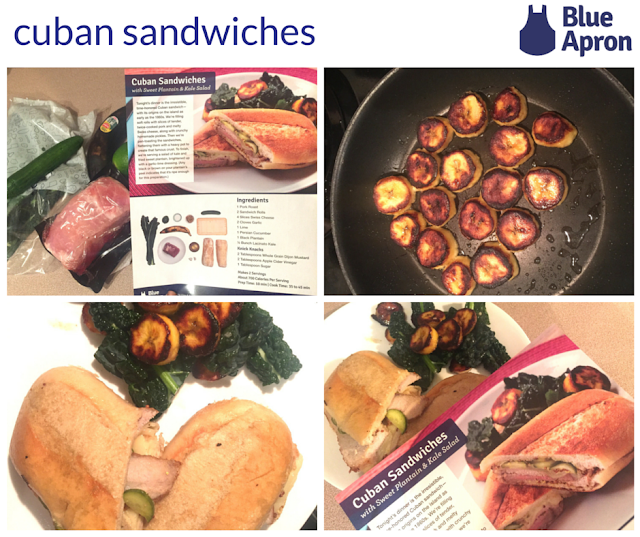 We loved our experience with Plated, so when a friend offered me a free box from Blue Apron, I jumped at the chance to try it! You go online (or into the app) and decide on your meal plan, based on number of dinners per week and whether they should feed two or more people. Then, up until just under a week prior to your shipment day, you can select your menu or choose to skip a week. Depending on what meals you choose, some of the other options might not be available. Each box includes your meal kits and colorful and large recipe cards. 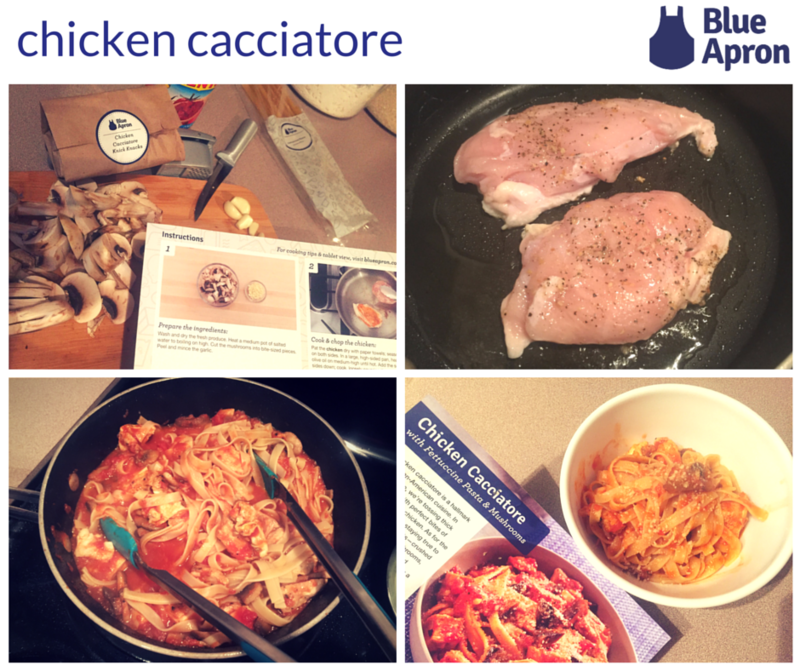 With Blue Apron, the ingredients are not grouped together, so you definitely want to make sure to check the recipe card before you start cooking. The instructions are great, and there are even extra cards in the box that explain unique ingredients; I had a card talking about plantains! Convenience & Time Saved: I love that the box is full of meal "kits" to save you driving, shopping, and prep time. It's so nice not to have to do the math for a recipe for two people. Portion Control: Because these meals contain 2-3 servings, we don't overeat! I've found that these meals contain 2-3 servings. The recipe cards also include nutrition information. Variety & Fun: I like the options on Blue Apron in terms of recipes, and their foods are on-trend with offerings like kimchi rice. I also love the photos and information on the recipe cards. Their photos are even larger than the Plated ones. I even made pickles for one recipe. That's not something I thought I could swing on a weeknight. I think the ideal Blue Apron user is someone who wants inspiration to cook variety for her family and wants a meal kit subscription at a lower cost. She likes large photos to help her cook along with a recipe, and learning about new ingredients in cooking. Ultimately, despite the higher cost, we felt like the Plated meals were a better fit for us. I will review Plated vs. Blue Apron soon, so you can see the comparison and what might fit you best! 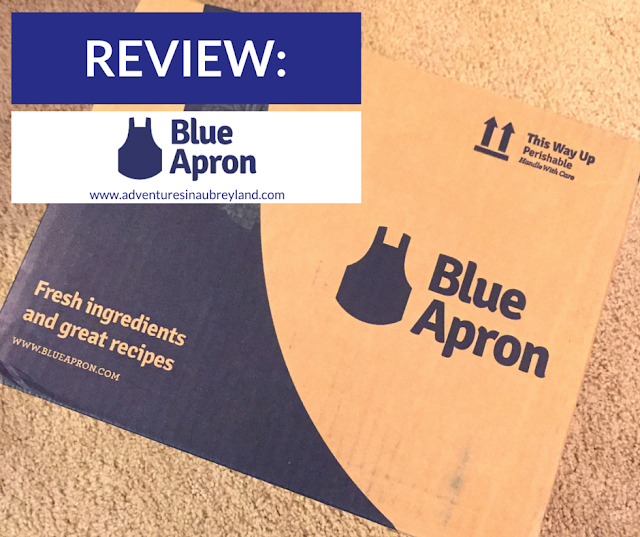 I wouldn't hesitate to recommend Blue Apron to someone, because both services are very similar and could be a great addition to your life and routine. Have you tried a meal kit service?